How does Molded Pulp stack up against EPS or Corrugated? 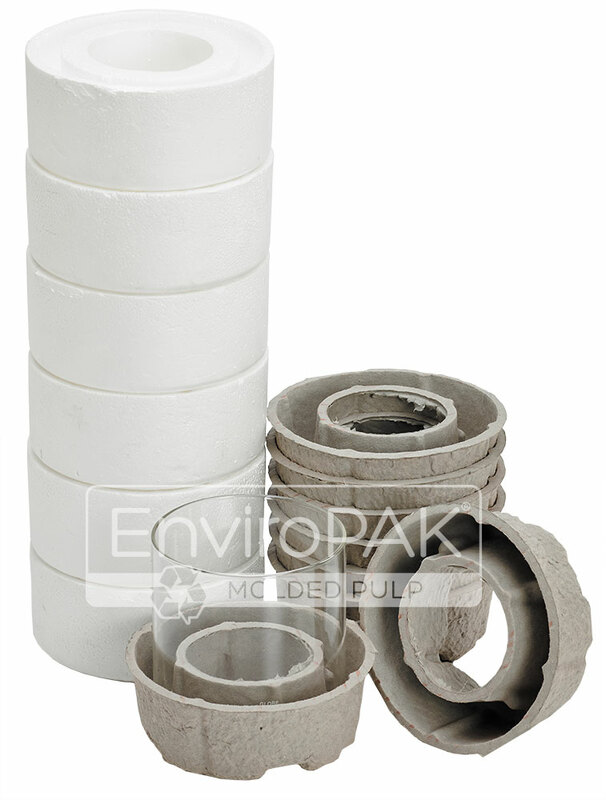 Hands down, the benefits of molded pulp outweigh the properties of resin based EPS in every category. 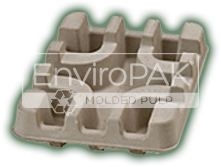 Molded pulp offers a biodegradable solution that is unaffected by temperature, static electricity and nests within itself to save tons of valuable space. The geometric options offer a smart design solution that offers good vibration protection and get products in the hands of customers quicker and cheaper while respecting the environment. Complicated designs, additional labor costs and performance breakdown due to humidity qualify die-cut corrugated as an expensive packaging solution when compared to molded pulp. Inconsistent vibration and cushion properties lead to increased breakage rates…and that increases costs at the bottom line. The high cost of materials is the best reason to disqualify corrugated as a solution.